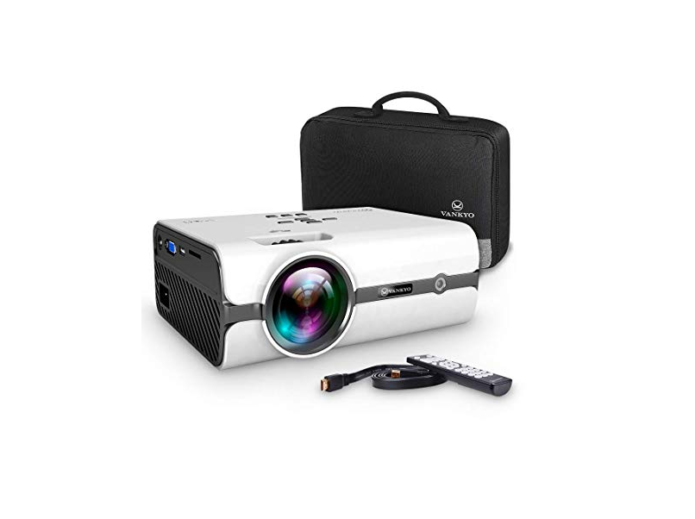 I didn’t expect much from a cheap projector that costs less than $100. However, I still have to admit the VANKYO Leisure 410 is really a good value after testing it for a week. The VANKYO Leisure 410 comes in a simple cardboard box but I was very surprised when taking it out of the box. It is placed securely inside a fabric carrying case, along with accessories like a remote control, an HDMI cable, a VGA cable, a 3.5mm AV cable, and a power cord.